[RALEIGH] On Monday, Gov. Roy Cooper signed HB 335, which restores early voting on the last Saturday before the November 6thelection. That’s good news for African-American voters across North Carolina who, statistics show, traditionally come out in heavy numbers to vote on the last early voting Saturday. Cooper had vetoed the previous early voting measure passed during the recent Short Session that had eliminated last Saturday early voting. That veto was overridden, but Republican legislative leaders had a change of heart, given the prospect of being taken to court again, and passed HB335. However, that bill only pertains to this fall’s election, and specifically Saturday, Nov. 3rd. [WINSTON SALEM] Adam Bloom is out of a job, all because he personally questioned the right a black woman had to use a private community pool on the Fourth of July. What Bloom didn’t know was that the woman, Jasmine Edwards, is a resident there, and she and her son had every right to use it. When the police arrived, they determined that, and told Bloom that when she proved that she had a card to swipe to get in. A video of the incident went viral, and now Bloom, accused of racial profiling, is out of a job. He now says he didn’t mean to. The company he worked for apologized to Mrs. Edwards. [RALEIGH] Looks like North Carolina isn’t just the “Good Roads” state (or used to be), but also the “good driving state,” according WalletHub’s recent 100 “Best and Worst Cities to Drive in” list. Of the top ten “best” cities, Raleigh was #1, Greensboro #4, Winston-Salem #6 and Durham #7. Charlotte came in at #19. WalletHub says it used “key indicators of driver friendliness” to make up the list. The worst city to drive in is Detroit, followed by San Francisco, Oakland, Philadelphia and Seattle. As expected, Pres. Donald Trump’s nominee Monday to replace the outgoing Associate Justice Anthony Kennedy, U.S. Appellate Judge Brett Kavanaugh, 53, of the D.C. Circuit, was controversial even before his name was confirmed in White House East Room. 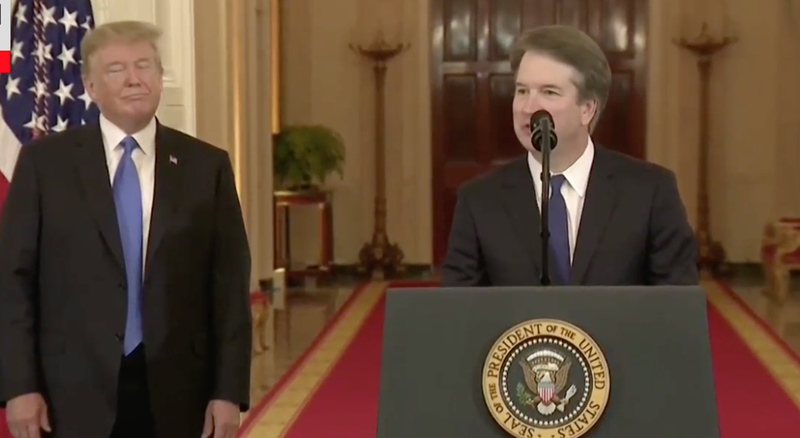 The GOP statement concluded, “Judge Kavanaugh is the best choice to succeed Justice Anthony Kennedy and Senate Democrats must put partisan politics aside and vote to confirm him to the Supreme Court." Even Project 21, a black conservative group, hailed Judge Kavanaugh. "This is a judicial grand slam! 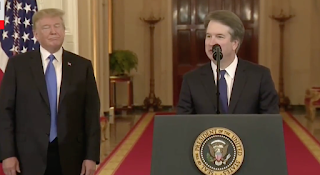 As someone familiar with Judge Kavanaugh's record, I can say that – though the left may be upset – those who love our Constitution will be thrilled," said Project 21 Co-Chairman Horace Cooper, a former professor of constitutional law at George Mason University and senior counsel to congressional leadership. At least one of North Carolina’s two black congresspeople, however, was not impressed. Attorney Irving Joyner, law professor at North Carolina Central University School of Law in Durham says Kavanaugh, who has sided with the National Rifle Association in various opinions, and has a political history in Republican administrations, is exactly who Trump needed to keep the High Court’s conservative majority in control for the next generation. “Many of the hard fought and won civil rights cases and the racial progress, gender equality and equal protections that many people have thought to be cemented in the law are now in jeopardy. The religious right wing and other ultra conservative forces should be overjoyed with this pick, but, if confirmed, future decisions by Judge Kavanaugh will be bad for our communities,” Joyner continued. Democratic National Committee Chairman Tom Perez also weighed in. Prof. Joyner of NCCU School of Law urged Senate Democrats, and grassroots progressive groups, to mount a fierce battle against Judge Kavanaugh’s confirmation. The president of the NCNAACP is not pleased that a joint session of the Republican-led NC legislature, before it adjourned its Short Session on June 29th, rejected one of Gov. Roy Cooper’s choices for a special Superior Court seat without apparent reason. Former Secretary of Crime Control and Public Safety Bryan Beatty, an African-American, was the only one of three candidates put before state lawmakers for their consideration that they rejected. The other two – Chief District Court Judge J. Stanley Carmical (white male); Chief District Court Judge Athena Brooks (white female) were approved. “I mean the measures to which these guys [GOP lawmakers] are going now, and the things that they’re doing, is just an extension of the extreme things that are happening, and how “45” [Pres. 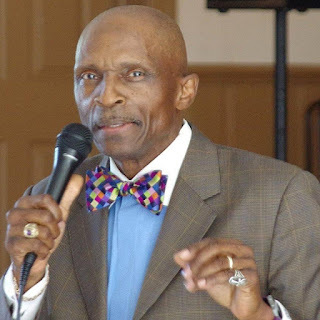 Trump] is just opening up things for people to do whatever they can do without any [remorse],” Dr. Spearman continued. There was little question about Sec. 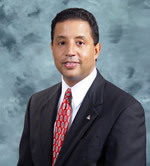 Beatty’s qualifications for the judicial seat, Beyond serving as secretary of Crime Control and Public Safety, the Salisbury native also served as director of the State Bureau of Investigation for a period, and a commissioner on the North Carolina Utilities Commission. Beatty is a graduate of the State University of New York at Stony Brook, and the UNC-Chapel Hill School of Law. Beatty had appeared before three different legislative committees, and, sources say, was never negatively reviewed once, never faced any opposition. “This is yet another instance of Republicans working to inject partisan politics into our courts,’ said Ford Porter, Gov. Cooper press spokesman, noting that GOP lawmakers had no problem confirming Republican former Gov. Pat McCrory’s staffer Andrew Heath as a Special Superior Court judge before he left office. 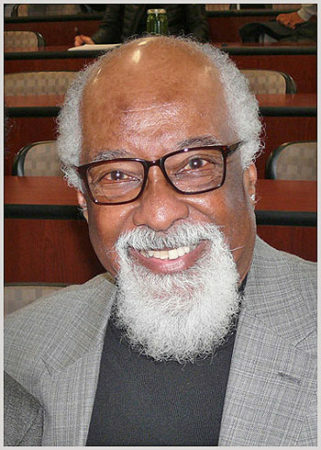 Though he hadn’t see it at the time of the interview, Dr. Spearman was also outraged by a poster, apparently circulated by Republican lawmakers on the last day of the Short Session, titled, “When Governors Ignore the Will of the People,” which pictured 12 judges and former judges - three of them black - who were all appointed by NC Democratic governors: former state Supreme Court Associate Justice G. K. Butterfield (now a congressman); former NC Supreme Court Associate Justice James A. Wynn, Jr. (now a US Fourth Circuit Court of Appeals judge); and Superior Court Judge Vince Rozier, who was appointed by Gov. Cooper in 2017. “The code words are usually that they ant the “best judges,” Dr. Spearman quipped in reaction.